The Chelsea FC VaporKnit Strike Drill Men's Football Top helps keep you cool and comfortable on the pitch with breathable, flexible fabric. 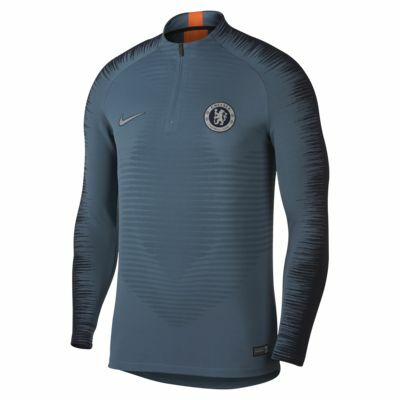 The Chelsea FC VaporKnit Strike Drill Men&apos;s Football Top helps keep you cool and comfortable on the pitch with breathable, flexible fabric. Ultralight, high-stretch fabric is built to move with your body, allowing you to move freely at full speed. Have your say. Be the first to review the Chelsea FC VaporKnit Strike Drill.